It’s Charlie Chapin’s birthday, so the TGIF slot is his. Just about anything we posted would be worth seeing, but this is still an amazing sequence: the boxing match from City Lights. Previous posts on Frye and Chaplin here, here, here and here. This entry was posted in TGIF on April 15, 2011 by Michael Happy. 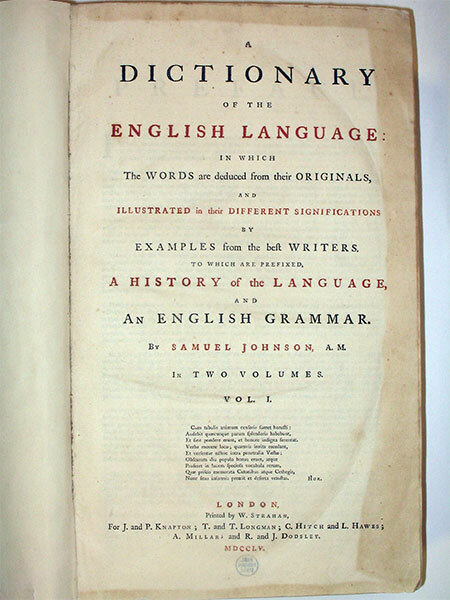 Samuel Johnson published his Dictionary of the English Language on this date in 1755. This entry was posted in Anniversaries on April 15, 2011 by Michael Happy.